Austin Engineering designs and manufactures mining buckets for excavators, front-end loaders and wheel loaders. The JEC designs range from 1.5m³ to 52m³ and are suitable for any application, whether hard rock, iron ore or coal. 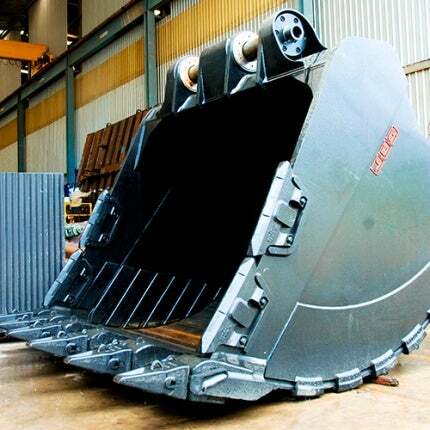 Each bucket is made to fit the requirements of the customer’s application, including high-production light-weight buckets through to heavy-duty armoured buckets. Maximising machine efficiency is of key importance, so Austin Engineering offers bucket capacities, weights and material density that provide faster cycle times.